The Celtics earned a victory on Wednesday vs. the Heat, but the real winner of the night was a young fan in Miami. This is far from the first time Irving has made a fan's day by gifting them his game-worn attire. Irving is known for giving away his sneakers to young fans. This fan from Wednesday night just happened to get a bonus jersey and hug to go along with them. 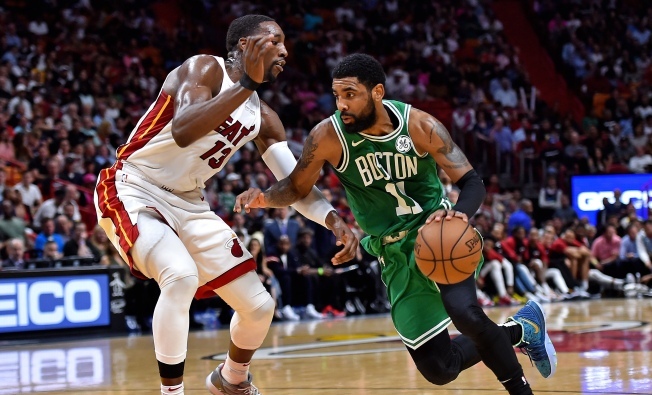 Irving finished with 23 points in the C's 112-102 win. Boston remains tied with the Pacers heading into Friday's pivotal matchup between the two teams.